This was the best festival ever. There was a good selection of IPA, porter, stout, pilsener, etc this year. 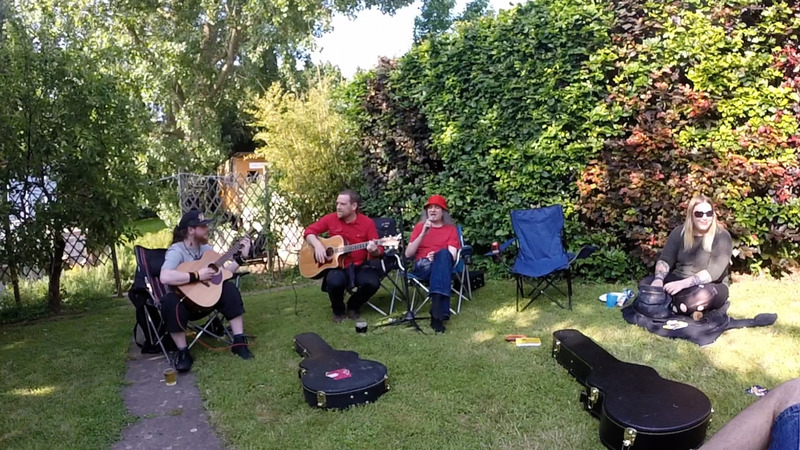 The Skandal performing at Mike's birthday in 2014. I bought a used car that turned out to be defective and then had to go to small claims court to get my money back. There are friends, and then there are friends who invite you to drink their delicious beer and listen to their live music. Mike and Alex sing "Wish You Were Here". A train passing by at 100 kph, recorded at 210 frames per second. My friends don't swear, well, not in this video, anyway. A quick video from Barry and Richard's 40th birthday party featuring out of context introduction by Paula; fighting by Alex, Bill, Lucy and Jo. During the cake scene listen out for someone saying "I need more fire". Running up a small mountain. Don't stop until you reach the top. A visit to Suzuka and Ise. Down the road from Yasaka shrine I came across this Taiko (drum) group. I invented a new method that has many advantages. A walk along the philosopher's path. The view from my balcony in Takano.